The free app Advance OS and LED is now packing even more heat. You can already add custom LED alerts, message popups, custom vibration and change your wallpaper, and now things have been tweaked up and v13.0 is sporting a new UI as well as plenty of fixes and updates. The new updates keep this totally free app running in the front of the pack. A whole new UI layout. Multi-color LED (AKA disco LED). Added 10 and 30 seconds LED timeouts. The wallpaper feature now supports randomization. Email popups now supports HTML. A great new Call Dial Confirm feature. You can now automatically download email attachments. As well as many fixes and enhancements. Advance OS and LED is truly a great app and you really can't beat the price. If you're at all about customizing your BlackBerry, then you'll definitely want to check this one out. 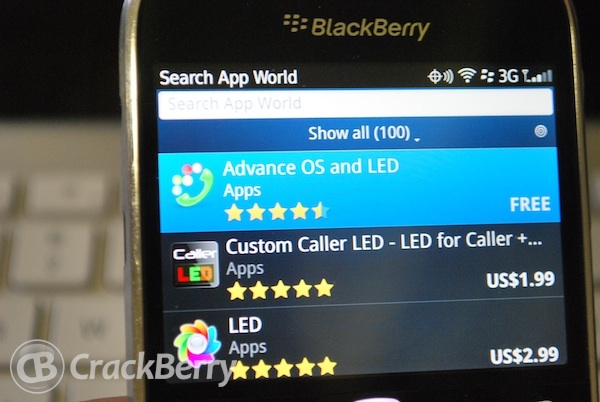 Grab it free in BlackBerry App World and hit the forums for more discussion.